Where Do You Find Free or Reduced Cost Flu Shots? Beginning in October of each year, cases of the flu spike and it is the official start of flu season. The end of flu season is in March, however, it is possible to get the flu at any time during the year. It is just more commonly seen during the cold weather. The flu can make a person miserable and keep them bedridden for days. The symptoms include a high fever, a cough, a stuffy or runny nose, a sore throat, and sneezing. It can also cause fatigue and muscle aches. The best way to prevent the flu is to get a vaccination. The average cost is $39.99 and $59.99 for the high dose flu shot that is designed for people 55 years of age or older. 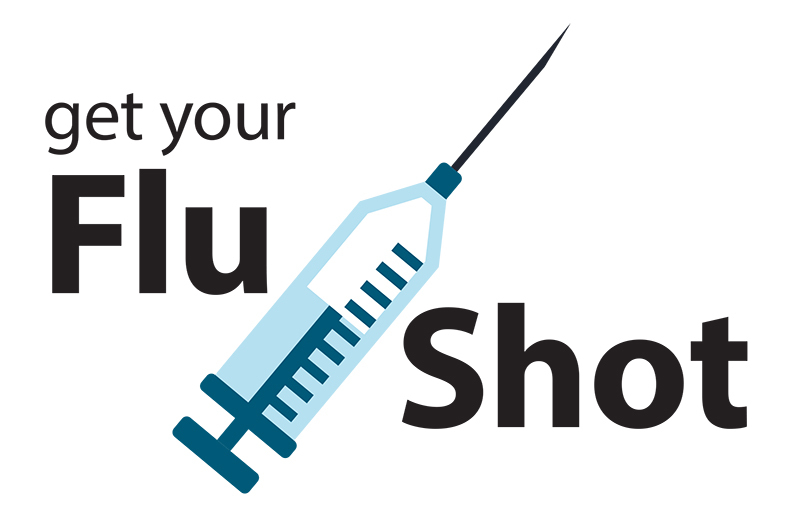 If you have insurance, it often covers all or a portion of your flu shot. If you don’t have insurance, you would need to pay for the vaccine out of your own pocket. If you are like most people and are living on a budget, there are places where you can get the flu for free or at a discounted price. You can walk into a pharmacy and get the flu shot on a walk-in basis. It is possible to get a discount on your flu shot if you get your shot at a pharmacy chain. CVS, for example, offers a 20 percent discount to anyone who has an ExtraCare card. If you don’t already have one, you can get one at CVS for free. If your favorite supermarket has a pharmacy, chances are they give the flu shot. Many supermarkets charge less that what your doctor would charge for flu vaccines. You would need to contact the supermarket pharmacy and find out what they charge. Like pharmacies, supermarket pharmacies who offer the flu shot do so on a walk-in basis. All of Target’s pharmacies have transitioned to CVS Pharmacy. If you go to a CVS pharmacy inside of Target, not only will you get the 20 percent discount with your ExtraCare card, you also get a $5 Target gift card. You should check with your child’s school to see if they are offering a flu clinic. Many schools offer flu shots to their students. If you have insurance, you would give the school your insurance information. If you don’t, most schools offer the vaccine for free. This is also true with colleges and universities. Schools do this so that a flu epidemic doesn’t take over the entire school. It is safer to offer free flu shots that to deal with an outbreak. There are certain urgent care clinics that offer flu shots at a discounted price. American Family Care, for example, is the largest urgent care clinic chain in the U.S. They offer flu shots for $10 during flu season. Each year, the Department of Health in most states offer flu clinics. If you want to know where and when your state’s flu clinics will be held, you can check with your state’s Department of Health. Like schools and universities, the Department of Health would rather offer free or discounted flu shots rather than deal with an epidemic. If you want to stay healthy this flu season, you should get a flu shot. Not only will you protect yourself from getting sick, you will also protect those around you from catching the flu from you. Luckily, there are places to get free or discounted flu shots. This entry was posted in Flu Vaccine, Pre-book Flu and tagged 2016-2017 flu, 2016-2017 flu season, 2016-2017 flu vaccines, AIDS, antiviral medication, Asthma, avoid the flu, avoid the flu virus, avoiding influenza, back to school, benefits of a flu vaccine, body aches, body temperatures, book flu vaccine, book flu vaccines, book your flu vaccine, bronchitis, Burdick ECG, buy flu vaccine, call a doctor, clean, Clorox, Cold season, complication, complications, compromised immune system, Contagious, Contamination, Diabetes, express, express medical, express-medical-supplies, expressmedical, expressmedicalsupplies, flu, flu activity, flu pre book, flu prebook, flu prebooking, flu prevention, flu season, flu shot, flu shots, flu spreads, flu symptom, flu symptoms, Flu treatment, flu vaccine, Flu Vaccines, flu virus, flu-like symptoms, get rid of the flu, Hand-Washing, headaches, health, Heart Disease, High Contamination, high risk, high-risk conditions, highly contagious, HIV, Household, how the flu spreads, Human Immunodeficiency Virus, ill, illness, immune system, immunity, immunization, immunized against influenza, inactivated flu virus, infected, infection, Infections, infectious, infectious viral illness, Inflammatory, influenza, influenza prevention, influenza virus, influzena, lab, lab supplies, Lysol, medical, Medical Equipment, Medical Supplies, medicine, organ transplant, passageways, pneumonia, poor circulation, postnasal drip, practice, pre book, pre book flu vaccines, pre book your flu vaccine, prebook, prebook flu, prebook flu shot, Prebook Flu Vaccine, prebook flu vaccines, prebook vaccine, prebook your flu vaccines, prebooking, prebooking flu, prebooking your flu vaccine, preventing the flu, protect against the flu, protection against the flu virus, running nose, runny eyes, school, seasonal flu, seasonal influenza, sick, Sick Room, sickness, sneezing, spread of flu, spread of flu germs, spread of influenza, spread of the flu virus, spreading the flu, spreading the flu virus, stay healthy, stay healthy this flu season, supplies, symptoms, temperatures, tissues, types of flu, understanding flu, Vaccinated, vaccinations, Vaccine, virus. Bookmark the permalink.